Medical tourism, dental tourism, surgery tourism, and rehab tourism exists in the 21st Century. The idea behind it is simple. If you can’t afford to get a procedure or surgery done in your own country (due to insurance company shenanigans, Medicare or Medicaid issues, and simple lack of cash), then it’s possible to get the same quality of care elsewhere outside of your homeland that costs so cheap, it’s still cheaper than doing it stateside or locally even when you take into account travel costs. Indeed, the cities of Chiang Mai ,Bangkok, and Phuket offer high-quality, international-grade medical services in light of how Thailand mixes tourism with its medical industry. Even if it costs a little more to travel somewhere in order to get work done on yourself, as long as the procedure itself costs cheaper than what’s offered locally, it’s still worth the trip. In fact, that’s where the tourism part of the equation comes in. Having a vacation or holiday at the place where you’re going while undergoing treatment will make the travel costs worthwhile. If you’re going to have a vacation, you might as well get some work done. The medical treatment available is low cost. Thailand’s healthcare system is extremely high-quality as well. Thailand has a highly developed industry when it comes to tourism. Reputable private medical centres are the ones that provide the services. The quality of the procedures isn’t compromised despite their affordability. So what about rehab tourism? Rehabilitation in places like Thailand and Dubai allows you to relax, unwind, and get rid of your stress by staying at a secluded rehabilitation centre (if you’re undergoing inpatient therapy). You can also opt for outpatient treatment to allow you to go out and about in order to see the different sights and sounds of Thailand soon after every session or meeting is over. Thailand also offers over 1,000 hospitals, of which over 470 or almost half of them are private centres. In fact, the country also has the biggest private hospital in all of Asia. It also got the first Asian hospital that received a JCI accreditation and ISO 9001 certification. As of this writing, 37 Thai hospitals have gotten JCI accreditation as well, all of which are private. Thailand Private Hospitals Are Mostly for Tourists:Medical tourists find these hospitals and clinics (including rehab centres, of course) much cheaper than the ones found in their home countries, even when considering travel costs. Weirdly enough, most Thais find the prices of these hospitals high because of their low salaries. Therefore, it seems like these establishments mostly cater to the foreigners who view their prices as just right. Comparing Thai Rehab Centres to Thai Private Hospitals:With that said, the same could be said of rehab centres, which are a mix of private hospitals and resorts, almost. They have doctors and nurses available on hand to deal with the physical consequences of addiction and when dealing with detoxification. They even employ anti-relapse medication if required. However, they have a more hotel-like feel to them to better accommodate the tourism aspect of medical tourism. Rehab Facilities Also Double as Wellness Centres:They also have counsellors and sponsors available to assist in the mental or psychiatric therapy of the patients involved. 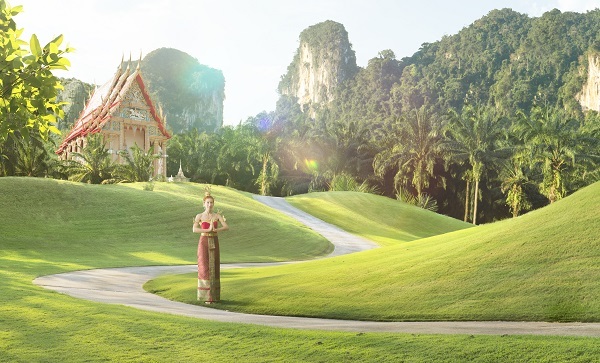 Many of these rehab facilities in Thailand employ holistic services that cater to your physical, mental, and spiritual health as well as complementary and alternative medicine (CAM) like mindful meditation and acupuncture. This is on top of the standard offerings of detoxification and anti-relapse medicine as well as counselling and therapy. The Bottom Line Regarding Luxury Thai Rehab Centres:The leading drug and alcohol rehabilitation centres of Thailand strictly follow not only national or local standards but also international standards. As a bonus, patients are treated to the exotic and tropical surroundings of Thailand without compromising on world-class quality. It’s like taking a wellness vacation of sorts to ease your road to recovery with a 5-star resort setting. Thailand is known as the Land of Smiles for a reason, and it isn’t (just) its dental tourism services. It also has some of the most welcoming staff and crew in their many resort-like rehabilitation centres across its lands. These centres are like resorts but with one exception: The lack of a mini-bar. You won’t get access to a single drop of alcohol because these establishments are secluded from the typical bars and nightlife of Thailand. This goes double when it comes to drugs like marijuana, cocaine, and heroin. With that said, it also helps that Thailand has a Buddhist heritage included, allowing the Asian country to incorporate spirituality to their rehab services in the form of therapy and CAM services. What’s more, the influence of Buddhist philosophy ensures a non-judgemental and welcoming attitude from the staff towards patient treatment. Tourists typically go to Thailand for a good time as well as to heal themselves in an affordable manner. With that in mind, how should you go about choosing the right Thailand addiction rehabilitation facility for you? Here are some tips and tricks in regards to the hallmarks of excellence when it comes to the cream of the crop addiction rehab centres in the Land of Smiles. High-Quality and High-End yet Affordable Luxury Facilities:Your wellness facility of choice should offer luxury accommodations like a resort but shouldn’t cost like a resort. It should be a top-rated and high-end kind of rehab centre. The idea here is to make the addicted patient as comfortable as possible. The facilities should be modern and complete. You should feel right at home as much as possible with a welcoming staff and crew. The Land of Smiles has rehab centres that will make you feel like a tourist and a patient at the same time. How Low Cost the Addiction Rehab Services in Thailand Are: Thailand is considered the Mecca, Jerusalem, or Holy Land of medical and rehab tourism because it offers all its medical care at reasonable prices every time. Its procedures and services typically cost from 40 to 60 percent cheaper than comparable treatment in Australia or the UK. Travel expenses don’t add much to the final bill, especially when you avail of a medical or rehab tourism package. Internationally Trained and Certified Clinical Team: Your rehab service of choice should have a clinical team composed of highly trained and qualified processionals. They should offer cutting-edge treatment and specialist doctors who deal with a wide range of addiction treatment. They should have, for example, a counselling team supported by 24-hour on-site medical team as well as a reception staff, fitness service, and dedicated support. Basic Resort-Style Treatment Works Best: Rather than treat addiction through expensive hospitalisation, you can go to Thailand and use your limited budget to avail of a basic resort-style treatment while still getting excellent and affordable medical attention. In Thailand, the cost of healthcare is significantly more affordable yet offers a diverse range of services and procedures. Yet this affordability goes double for addiction treatment. You can run the whole gamut of treatment options for alcohol and drug addiction yet still end up spending only a fraction of what you’d normally pay for stateside or locally. Quality and Personalised Rehab Should Be the Emphasis: Rather than emphasise their lower cost or affordable prices (since that’s a given for all Thai addiction rehab establishments), they should stand by with their facility’s overall quality. They should let their offerings speak for themselves, particularly with their exclusive, individualised and modern treatment services. Some of these rehab centres might even include dual diagnosis in case the addict is suffering from some other psychological condition. A Proven Treatment Model: Your chosen rehab facility shouldn’t only have a team of licensed and experienced addiction specialists. It should also have some sort of treatment model, whether it’s holistic or self-pioneered. Choose the centre in accordance to the treatment model that makes the most sense to you and your needs. Let the treatment model serve as your main basis of choice for these rehab centres in Thailand. Search for a Safe Place to Heal: Your prospective Thai rehab centre should serve as a safe place to heal rather than be an outright clinic or hospital of sorts. This is because treating the physical symptoms of drug and alcohol addiction is only part of the story, especially for holistic wellness centres. Rather, you should also have a safe space of a facility filled with the most caring and internationally trained staff, crew, counsellors, and doctors on hand who provide gentle and personal care. Modern Rehab Techniques with Proven Results: Instead of treating you with quackery and questionable techniques, you should search for rehab facilities that offer comparable effective addiction rehabilitation techniques like behavioural therapy, cognitive therapy, 12-step recovery programmes, support groups, group therapy, family therapy and more. The only difference between your local rehab services and Thai rehab services should be the price. The quality of these rehab techniques should be unquestionable. State-of-the-Art Rehab Facilities and Amenities: Thankfully, because of its international clientele, the medical tourism market of Thailand has some of the latest, state-of-the-art the facilities and amenities available for rehabilitation, including equipment of gold standard detoxification procedures (like edema products, wheelchairs, ADLs, modalities, clinical assessment equipment, and so forth) as well as the most luxurious accommodations, fitness room, spa and massage centre, library room and so on. The Inclusion of CAM Therapy with Standard Rehab Treatments: Complementary and alternative treatments can also be included in the whole Thai addiction rehab package as an added bonus, but only the services that have gotten studies and positive results. Some Thai rehab services offer CAM services like mindful meditation, deep breathing, acupuncture, yoga, and so forth available and presented as part of a holistic treatment of your mental, physical, emotional, and/or spiritual health. 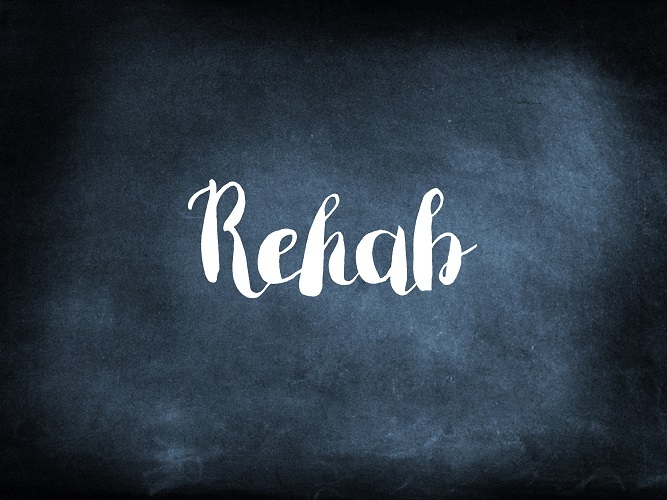 Rehab Centres with High Ethical Standards: You should search for establishments that include a relapse assurance policy in order to showcase how the rehab centre values the long-term recovery and success of their patients. You should have doctors, sponsors, counsellors, and caregivers who are highly motivated in helping others. You should find a treatment centre wherein if an addicted client relapses, they can come back to the service for another 30 days at no extra cost. Weekly Counselling Sessions and Psychiatric Therapy Galore: You should search for rehab services that do more than others. Instead of counselling sessions or group therapy with sponsors for 12-step programmesevery other week, you should go with, for example, 3 one-on-one weekly counselling sessions or weekly group meetings to really help the addict in healing his mind as well as his body and spirit. You should also go for rehabilitation centres that gather people in smaller groups so you can get more time from the staff and counsellors. High Client-to-Staff Ratio: Don’t let yourself get short-changed by going to a rehab facility that’s short on staff. This usually results in red tape, delays, and countless hours of waiting. A good inpatient rehab facility should have a good client-to-staff ratio so that every last patient in the establishment has their needs met on time every time. Every doctor, nurse, and staff should get you your anti-relapse medicine, test results, vitals, and required counselling and group therapy meetings on a regimented and scheduled fashion. 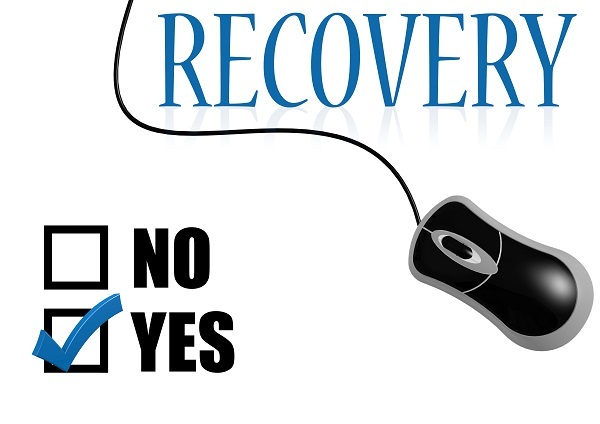 A Robust Aftercare Service: The aftercare services of your rehab of choice should also be detailed and robust, such that if you were to relapse after treatment is over, they can trace back and help identify why you relapsed in the first place. Again, the best rehab clinics should have a crew that cares for your long-term success and recovery, to the point that they can even schedule an aftercare regimen that includes checkups, updates, and extra meetings if required. Global Clientele Usually Means Global Standards: Some of the best rehab centres in the region and arguably the best in the world is in Thailand. What’s more, you can gauge the quality of these facilities by their type of clientele. Most rehab clients are predominantly from Australia, but they can also come from Hong Kong, Singapore, the United Kingdom, the United States of America, and the Middle East. They’re joined by expatriates from the Southeast Asian region, including those in India, Indonesia, and Malaysia. So What’s the Deal with Thailand, Medical Tourism, and Addiction Rehab? Asia’s leading medical tourism destination is Thailand. The Land of Smiles offers everything from affordable surgery to dentistry with all-expenses-paid trips and medical packages galore. The Thai medical tourism industry is currently booming, in fact, pushing other countries down the list. Its number of tourists of the medical nature has been steadily growing since the turn of the century. This has caused Thailand to become the top nation in the global tourism market. 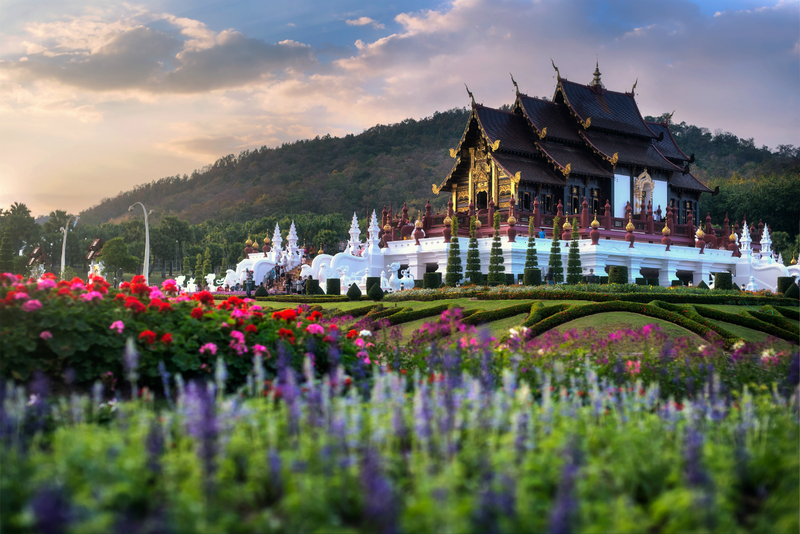 In turn, rehabilitation centres also benefit from Thailand’s beautiful landscape, well-developed medical facilities, internationally trained doctors, affordability, and its mix of eastern and western addiction treatment services. You can avail of counsellors, therapists, doctors, nurses, and sponsors to rehabilitate your substance abuse tendencies. Long story short, Thailand offers not only the best hospitals and doctors but also the best rehabilitation centre in all of Asia and the world. We at The Dawn Medical Rehab and Wellness Centre are dedicated in our every client’s lifelong success and recovery. This is what we care about the most. We focus our different programmes and our proven holistic treatment model in not only treating you in the short-term but also in the long-term, particularly in light of the possible setbacks and addiction relapses in the future. We go the extra mile with our clients. If you were to complete our full programme and then end up with a relapse soon after, we can guarantee you an extra 30 days of rehab with no questions asked and at no additional cost. During the whole month-long rehab, we’ll work hand-in-hand to identify the reasons for your relapse to get you back on the path to sobriety. Contact us today to learn more about our Relapse Assurance Guarantee.